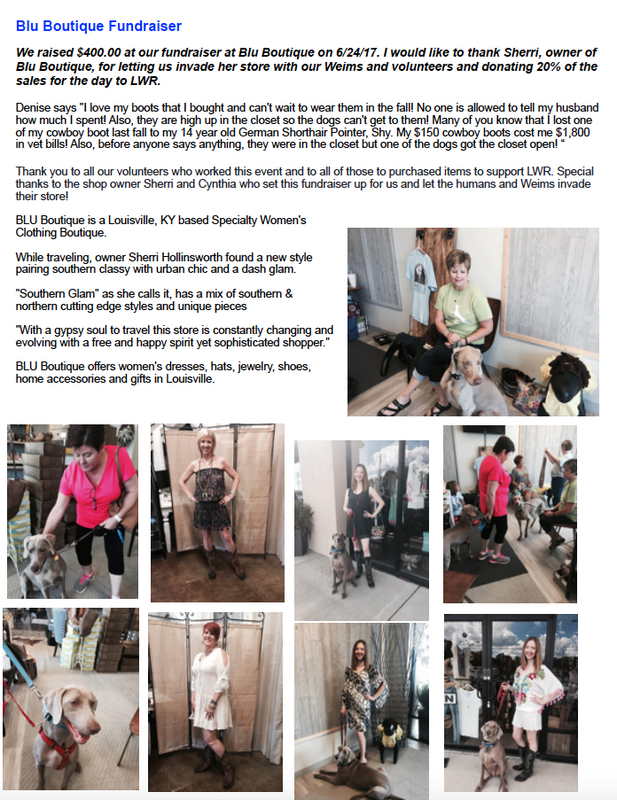 APPLY TO ADOPT | Louisville Weimaraner Rescue Inc. Explain how often and who will watch your dog when you are gone. Have you taken the quiz and agree with all the questions? The quiz can be located on the left hand side of any of our web pages. You can also visit our "About the Breed" page. Please discuss any concerns with us during your phone interview. Do you have a preference in the age of the Weim you wish to adopt? Please check all ages in which you are interested. What is the maximum age of Weimaraner that you wish to adopt? Do you currently have or plan to have other animals besides dogs and/or cats, such as horses, cows, chickens, etc. If so, please explain below including where they will be located, if they are dog-friendly​, if they will be accessible to the dog, etc. If you rent, please include a copy of your pet clause in your lease demonstrating that you can have a Weimaraner at your residence. A letter signed by your landlord or management company on letterhead that you have permission to have a Weimaraner will also be accepted. Weimaraners may grow to be as large as 100 lbs. If you rent, we will not consider you for adoption until we have received this. Please describe the type of fence you have. Does it surround a fully enclosed area? How high is it? What is it made of? ​If you don't have a fence, do you plan on installing one? Dogs may run off and/or roam if given a chance. Weimaraners are a hunting breed and need a lot of exercise. If you do not have a fenced yard, how will you exercise him/ her every day? Our Weimaraners are located in foster homes throughout Kentucky, Indiana, and Ohio. You and all members of your family and current dogs will have to travel to meet the dog in which you are interested. We prefer you not leave your newly adopted Weimaraner for an extended period of time too soon after adoption. Therefore, we may not conduct your interview until you return from vacation if the Weim will not be going with you. How long will you be gone and who will watch your dog while you are gone? such as marriage, having children, attending college, health concerns, financial concerns, moving, etc. Under which of these circumstances might you find it necessary to return your Weim to LWR.